Markey and Blumenthal despatched a letter to Appearing FAA Administrator Daniel Elwell citing the CBS Information report and urging the FAA to supply solutions to a wide range of questions. The lawmakers need to know simply what number of complaints the FAA has obtained about airways pressuring upkeep employees and whether or not or not the FAA has investigated the experiences uncovered by the eight-month-long CBS Information investigation. “A essential element to any efficient upkeep plan is an adherence to upkeep protocols and a safety-centric setting that encourages mechanics to each determine and report security considerations. When security requirements are violated, the FAA has the duty to analyze allegations and require corrective motion,” the lawmakers wrote. 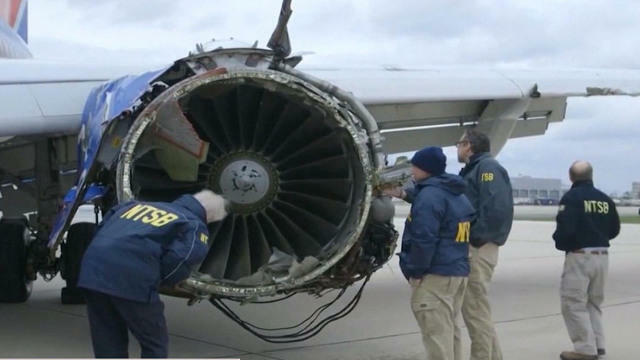 The letter comes per week after a CBS Information investigation raised questions on FAA oversight and the stress being positioned on airline mechanics to place plane again in service sooner. Each one of many 26 airline mechanics CBS Information spoke to – two thirds from American and the remainder from Southwest Airways – described being pressured by managers to focus solely on the work assigned. Their claims are backed up by findings in a number of FAA whistleblower complaints about inappropriate stress and retaliation since 2015 on the two airways – and at the very least 32 different nameless industry-wide experiences between 2015 to 2018. Each American and Southwest informed CBS Information security is their high precedence. CBS Information’ Kris Van Cleave contributed to this report.